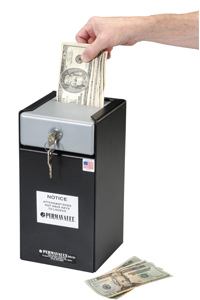 This Horizontal Mount Front Load Drop Box is made in the USA. PRO-10 Security lock with two (2) keys. For horizontal installation. 6″ x 6″ x 7-1/2″ 9 lbs. PRO-10M Medeco high security lock with two (2) keys. For horizontal installation. 6″ x 6″ x 7-1/2″ 9 lbs. PRO-20 Security lock with two (2) keys. For horizontal installation. 6″ x 6″ x 11-1/2″ 12 lbs. PRO-20M Medeco high security lock with two (2) keys. For horizontal installation. 6″ x 6″ x 11-1/2″ 12 lbs. 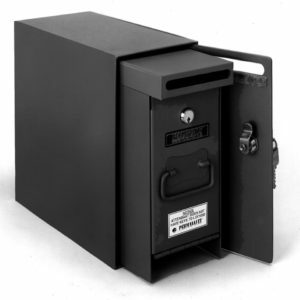 PRO-10-K Dual custody safe deposit lock with two (2) operator keys and one (1) guard key. For horizontal installation. 6″ x 6″ x 7-1/2″ 12 lbs. 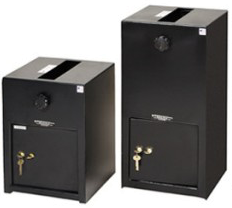 PRO-20-K Dual custody safe deposit lock with two (2) operator keys and one (1) guard key. For horizontal installation. 6″ x 6″ x 11-1/2″ 12 lbs. 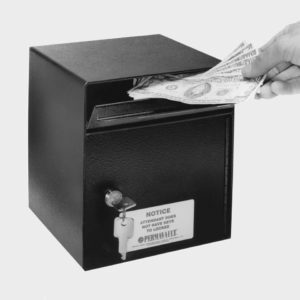 The instant you deposit cash, checks and receipts through the convenient slot opening, Perma-Vault is on guard, helping to protect you against robbery and employee theft. 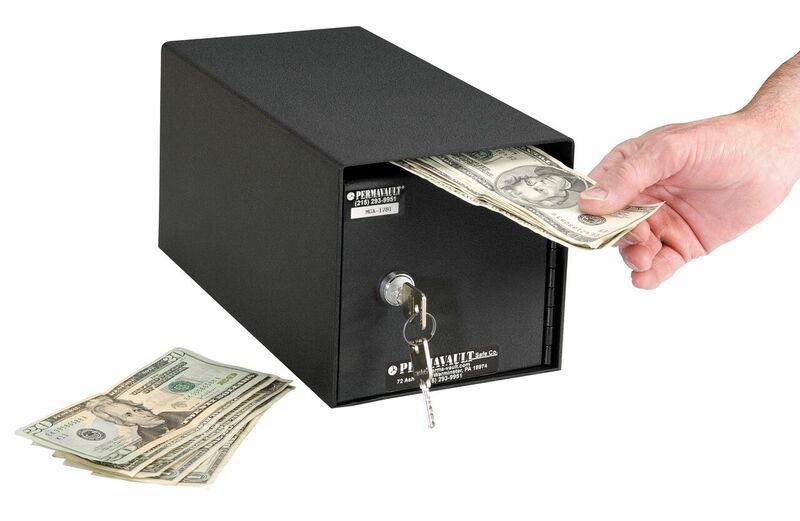 Perma-Vault PRO-20 can be placed in a convenient location wherever cash, checks, or receipts are handled.